I've been absent from my blog for over a week due to my mom passing away. It's been a gut-wrenching, heartbreaking experience that is not yet over. But I just wanted to let my followers know I am still here and will find my creative side again as soon as I can. It may be the only thing (outside of my family) to save me in this dark and difficult time. 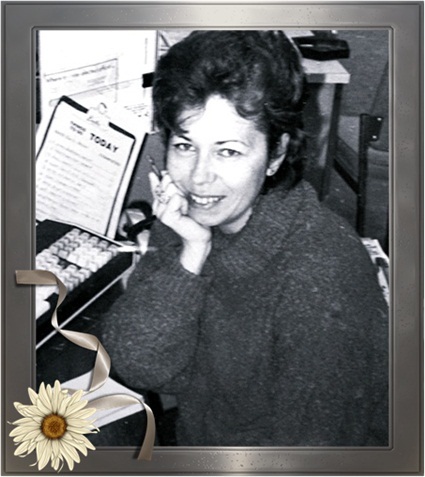 All of my creativity came from my mom...she would want me to keep using it. I love you forever, Mom. I seriously don't know how I didn't know this until yesterday, but Google Friend Connect is ending for all non-Blogger blogs as of March 1st. I posted a bunch of information about this on my Tattered Sisters blog, so I'm posting a link here to that post in case you were in the dark too and would like more information. Just click the link below to read the full scoop on my blog post. How did I NOT know this?! I've also added a new LinkyFollowers widget to the right side of my blog, which will replace my GFC widget once it stops working. Feel free to visit my blog and Follow Me! 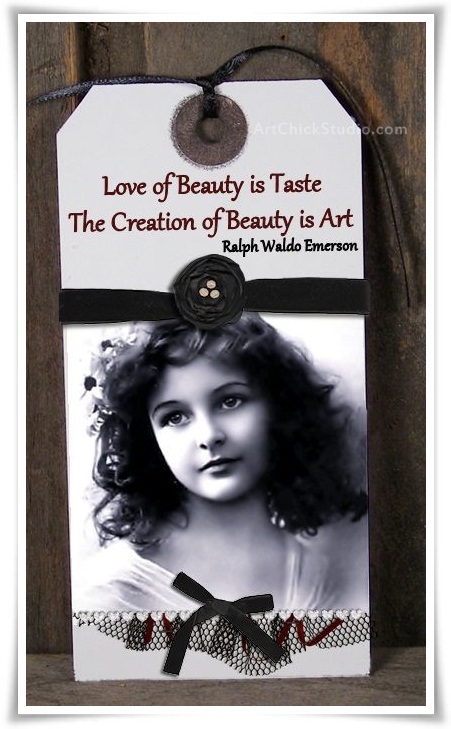 I've created this Creation of Beauty Hang Tag for the Words of Wisdom challenge over at the Gingersnap Creations blog. The challenge is to utilize some favorite words of wisdom (profound, funny, or otherwise) in a creation. For this Hang Tag I've once again utilized a combination of both paper goods, ephemera, and digital touches to create this Altered Art piece. I love the vintage photo of the girl...she's so lovely. And she is perfect for the quote by Ralph Waldo Emerson too, don't you think? I just thought I'd share something today since, for some reason, I was thinking about the ocean. I love the ocean...love beaches and almost any place near the water. So each year on our anniversary weekend for the past few years, the Hubs and I go someplace that is by the water, and preferably with a beach. We live fairly close to Lake Michigan and Lake Erie, so our destinations frequently end up being in a town by one of those lakes. And each time we go, I collect sand, shells, and other little natural objects as sort of souvenirs. 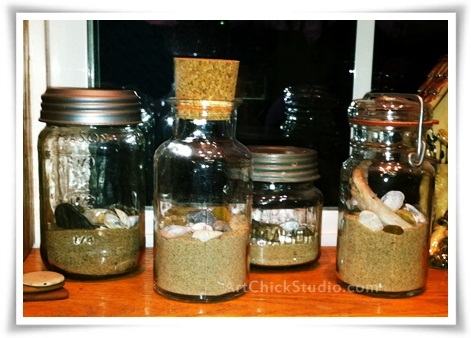 When we get home, I choose a Mason Jar or some other bottle to put my sand and other beach goodies in, and I label them on the bottom with the town we went to and which year. They've become my collection of "Sands of Time in a Bottle." I have 4 of these Glass Bottles and Jars full of beach memories so far. They sit on my kitchen window sill, so that I can see them everyday, and in my own way, I'm close to the beach. I would have had 5 of these, except one year we got rained out on our beach day and I couldn't collect anything to bring home. But that's OK. I created another piece of Michael Jackson Art for My Digital Sketchbook. It's an ode to the magic of Billie Jean. 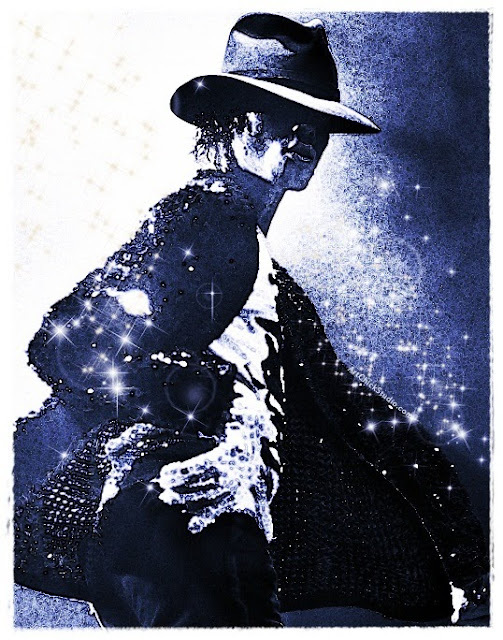 This piece features Michael performing Billie Jean during the Thriller era, with his trademark fedora, sequin jacket, and white glove. I still remember seeing him perform this on the Motown special so many years ago...when he moonwalked on TV for the very first time. It really was magic. And I remember the first time I saw his Billie Jean short film too. Always the showman. Always the music legend.